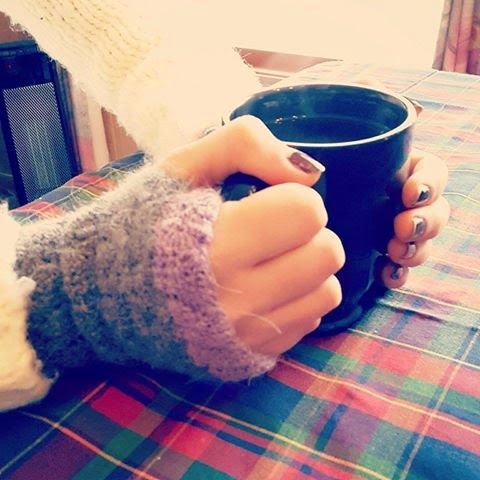 My cousin came home from London and I made these wrist warmers for her, I found the pattern in Simple Crochet magazine (issue 11 I think) that I got from boyfriend for Christmas. They are purple and grey and very soft, she said she loved them so I am happy, I want to make a pair for me too. Photo curtesy by Matt, because my phone hates taking pictures in the dark. 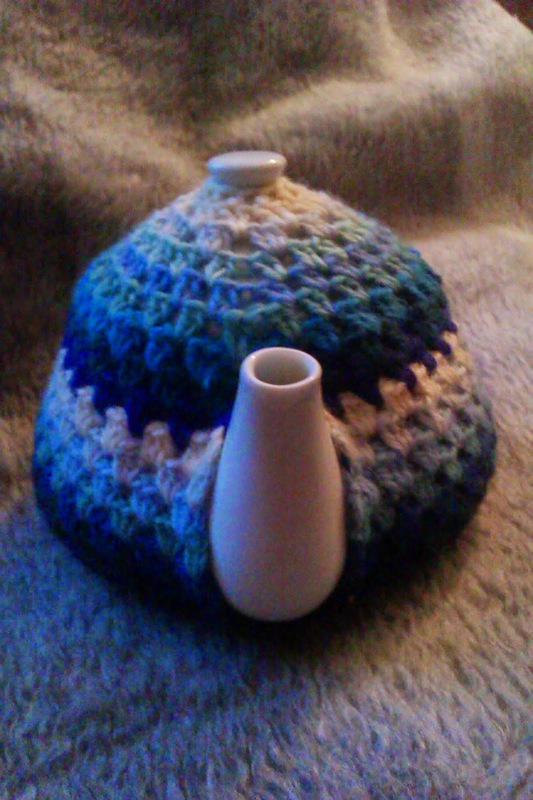 I surprised my friend by making her a teapot cover for Christmas, she and her sister also got a crochet scarf that I forgot to take pictures of. This yarn was embroidery yarn left over from my grandmother, aunt and boyfriends grandmother... 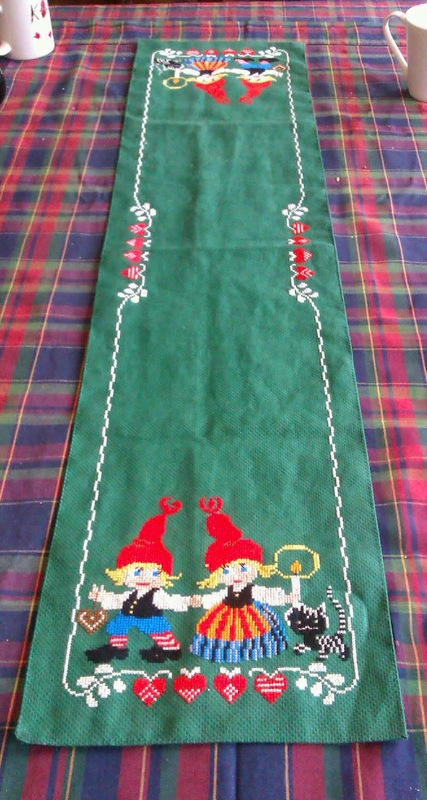 The pot was bought at Søstrene Grene. I made the entire thing in one go one night a few weeks ago while watching Roswell on Netflix. 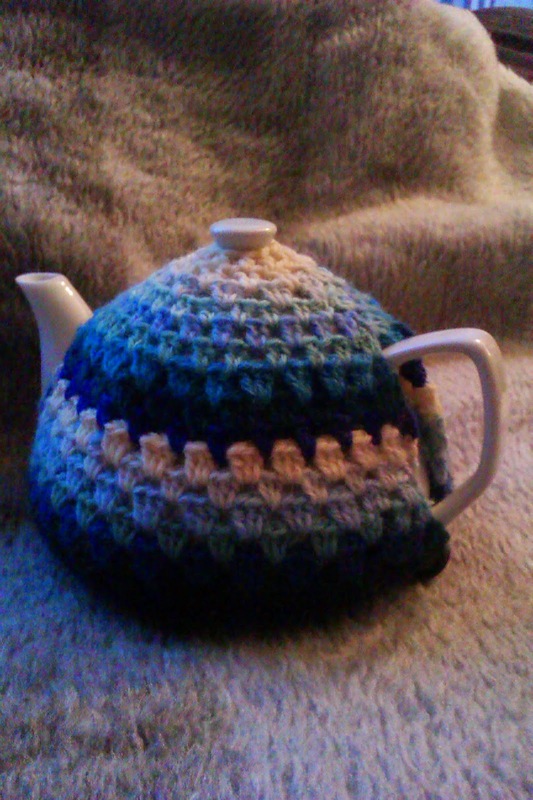 I had fun making this, I hope the tea stays warm because it is wool. Old itchy wool.